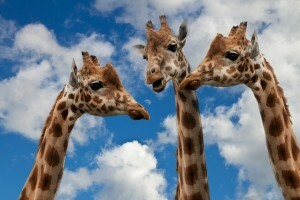 Is It Really Possible to Communicate With Animals? YES! Animal communication really is possible and even more than that, when done right? It is incredible how well it works! Similar to how radio waves, wifi or satellite frequencies work, we become senders and receivers of invisible information that is easily accessible once you know how. All we have to do is tune in and connect heart to heart, mind to mind, then tap into the universal, innate language of all species. We do that by practicing a high level of energetic communication until we are able to confidently send and receive accurate information and messages. Where Did Animal Communication Originate From? 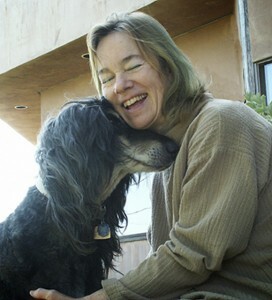 Penelope Smith is considered by most to be the founder of animal communication. Her story is that she was born with the gift and was able to understand animals at a very early age. As she grew up, her family and others ridiculed her because they couldn’t hear what she could. She decided that the fault was in them not her so she never shut off her gifts and abilities. She found sanctuary and refuge in her communion with the animals, and they helped her survive the abuse she suffered growing up. When she was in college in the mid 1970’s, she began talking with animals and the people who loved them and got fantastic results. She began to do this important work as her career, and then went on to teach and practice all over the world. Thanks to her and the many animal lovers who have studied with her, including myself, animal communication has become more main stream these days as folks become more consciously aware of telepathic communication between humans and animals. In fact, animal communication is currently practiced by millions of people all over the world. Every animal lover – caretaker, owner, and every professional working with animals– can and should take time to learn how to listen and communicate with their animal companions. Because this is such an unusual profession, I want to help you get started right. A lot of folks come to me after having worked with other animal communicators and they’ll tell me things like: they were only told what they already knew, it wasn’t very helpful, nothing changed, or worse, they were told things they knew weren’t true. They were not happy with their experience, and rightly so. Some people take this as proof that animal communication doesn’t exist or it doesn’t work, that it’s just foolishness or worse, a scam or quackery! All that really happened was that they had a bad experience with the wrong practitioner, or, the hoped for results didn’t meet with their expectations. Like working with a bad trainer, vet, doctor or attorney, we have to realize that not all practitioners are created or trained equally. That doesn’t mean that medicine or law or animal communication isn’t valuable and helpful when done correctly. It just means that they didn’t know how to find the best practitioner for their needs, or how to get the best results from their session. Some students take animal communication courses hoping they’ll experience the extraordinary gift of hearing animal’s voices, only to feel disappointed when nothing seems to happen for them. Many give up, and that is tragic because what happened was that the course they took just wasn’t right for them, they didn’t get the personal attention they needed to break through their blocked or stuck spots, or they had questions that went unanswered and they lost focus. Perhaps they felt unsupported or confused, or didn’t know the right questions to ask the animal in the right way and right time so they could enjoy a successful conversation with an animal. Other animal lovers are still hopeful that there might be something to this, and they still need help with their pet so they are willing to try again. They refuse to give up and so they continue working at it — practicing and getting coaching — until that tiny hinge opens the big door to success. At that point, everything changes! Remember that each and every field has its problems. There are always practitioners that are really good at what they do and others who aren’t so good. Not all professional animal communicators are made equally. I always tell my clients and students that you should not be so closed minded that nothing new can get in, nor should you be so open minded that your brains fall out! Animal communication works using the energetic transference of information most commonly known as telepathy. To understand this, first, let’s define TELEPATHY. A common definition of telepathy is the ability to see what is in someone else’s mind, to feel their emotional feelings, or to communicate with them mentally, without using words or other physical signals. The word itself is made up of two terms, Tele – like telephone, meaning hearing over a distance, and Empathy – meaning feeling someone else’s emotions or energies. So literally, it means “distance feeling”. In effect, telepathy is just a fancy way of saying that we can feel and hear each other over a distance. You do this every day, although you may not be consciously aware of how you’re actually receiving impressions, feelings and information from others. Have you ever thought of a friend and then moments later they called or contacted you? Can you look across the room at a stranger and instantly know if they are upset or depressed or up to no good? How does a mother know when their child is in trouble, or is up to naughty behavior? Of course you have, we all do. It’s part of our sixth sense. The animals in your life try to communicate with you all the time. They want to tell you what’s bothering them, where they hurt, what happened in their life, what makes them happy and how you can make their life easier and more fun, and healthier together. Have you ever wished you could hear what animals are thinking? Would it be useful to know what they know? Or to understand exactly how they are feeling? Animals have secret lives, thoughts, feelings and wisdom. They know things we do not know, they see things we cannot see. Animal communicators are trained to tune in and connect energetically so we can hear their thoughts and converse about them. Through the art of animal communication we can understand their concerns and they can share their innermost thoughts and feelings. We can share our viewpoints, discuss situations and problems, and solve them together. For instance, have you ever noticed how your animal disappears when it’s time to go to the vet or it’s time for a bath? Or how they can appear almost magically when you are thinking about getting something good to eat? This isn’t an accident or a coincidence. If they are paying attention, they always know what’s going on with you. And if you learn how to pay attention, you will know what’s going on with them too. Taking time to talk to them can make all the difference in the world! 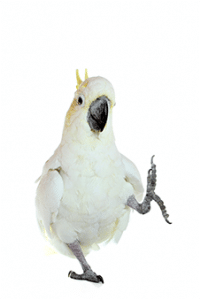 Start resolving any problem by inviting your animal’s participation, giving them a voice. They can tell us how they feel, when the problem started, what helps, what makes things worse, and what they really want or need… Often the answers are as simple as learning to listen to their wisdom, see life from their viewpoint. What Animal Communication is NOT! Just as important as knowing what animal communication actually is, we need to understand what it is not. This is not mind control. Communicating with an animal does not make them do what you want them to do. Just like talking to a family member, friend or coworker, communicating doesn’t force anyone to agree with your viewpoint or follow your rules if they are sincerely opposed to it for reasons of their own. Like humans, animals always do what makes sense to them from their unique viewpoint, given their experiences, their education, background and history. Remember that if you are asking an animal to change, that you also must be willing to change. Behavior that persists is being rewarded in some way. What you think and what you do sometimes speaks louder than words – especially with our animals. Applying the 5 steps in The Heart System for solving problems with pets includes practicing the art of the conversation and is often rewarded by changes in their behavior, health and well-being. Animals Are Sentient, Intelligent, Thinking, Feeling Beings. Communicating with animals is important because people misunderstand their animals all the time which gets them into interesting and sometimes awful predicaments. Humans who are not able to speak their language or consider the animal’s viewpoints feels frustrating, annoying and sad to the animal. In fact, many animals have sadly told me how dense humans are, and they worry about their people all the time. They sometimes wonder if humans are even intelligent because they so often seem lost and cut off from the most basic of information that even their babies know and understand from the get go. They reason through puzzles and situations, and choose a course of action to take. Their senses, both physical and subtle, are much more finely tuned and capable than human senses. Through extraordinary research studies with gorillas, we know that when they are taught how, they can even master human language. For instance, when they don’t know a word yet for what best describes what they want to say, they have been known to make up their own words to express what is in their heart and mind. That takes a very high degree of intelligence, more smarts than many humans exhibit at times! Animals have unique experiences, history and teaching from their families and their environment that they don’t forget. They know things we do not, and vice versa, humans know things that animals do not. Learning how to talk with them and connect at a deeper, heart centered level helps you become a better, more balanced, kind, and considerate person. They help you become healthier and clearer about who you really are. The process reveals who your animal really is, and can completely transform the quality of your life and your relationships. 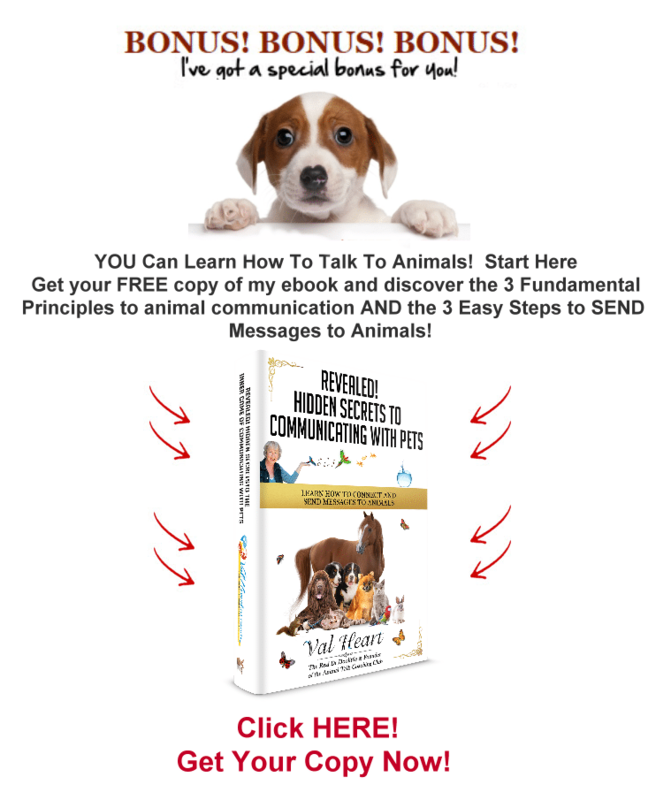 What Do You Need to Know About Human Animal Communication, and How Will That Help You With Your Animals? If you see your animal has a problem, how do you know what is really going on unless you communicate directly with them? Like you, only they truly know why they are doing what they do, or how they really feel. Animals are exceptional creatures; always trying to communicate with you. They are happy to share how they feel, what works for them or doesn’t, whether they are in pain or are confused. They often have messages for us to help us improve our lives, sharing insightful wisdom from their unique perspective and viewpoint. When things go wrong for them, they try to tell you that too. Unfortunately, most people are not trained or experienced in sending and receiving these messages, so they are unable to understand how to provide the love, care and optimal health that their animal deserves. You try your best to be a good caretaker, but without opening the channels to true communication with a deep, rich, profound understanding, it’s just not enough. Bringing greater awareness, understanding and clarity to any problem from the beginning will help your hearts and minds merge towards a solution. Taking the time for a heart to heart conversation can easily save you time, energy, frustration and a lot of money. Instead of chasing your tail on expensive guesswork, you’ll know that the real problem is. Then, you and your animal can partner up together to solve the issues at hand as a team. For instance, one of my clients was looking to buy a new horse. Lina wanted to learn how to jump and needed a good mind, big hearted “good will” horse to be her teacher. So she looked. And she looked. On the advice of her trainer, the grapevine and people she knew, she traveled all over the county meeting and trying out different horses, but none of them felt quite right. So before she made what could turn out to be a big mistake — and before she wrote that big check — she enlisted my help. We talked to each prospective horse, and even though they seemed perfect on the surface? When we discussed things with the horses, in every case we quickly discovered eye opening reasons to just say no. Some told us about hidden injuries and pain that the vet had not found and the owners didn’t know about. Some had been given sedative drugs before Lina had gone to see them, to help calm them down. Some were simply not interested in Lina and had no intention of being her next teacher, because it was not their purpose and they knew it. Others hated their job, they did not enjoy jumping. Finally, against the advice of her trainer, my client went to see another horse called Cory. This young mare was not known to be a sweet natured horse. Cory was problematic, difficult, and unpredictable. Her trainer warned my client away from her. And yet, there was something about this horse that felt special. When I spoke with Cory, she told us she was in pain. She was angry because the humans didn’t seem to care what she thought or how she felt. Their response was to punish her, work her harder, and to force her to do what they wanted her to do. So she acted out badly in her frustration. On the plus side, she told us that she liked my client. Lina seemed different. Was it possible she truly cared and was interested in who the horse really was? Cory felt excited and hopeful for the first time in a very long time. So we discussed what Lina needed from her. The rules were that Cory must always take care of Lina, she could never hurt her. Cory must keep Lina on her back no matter what. We talked about what Lina had to offer her, and how different her life would be. And Lina made promises to Cory about always caring, doing her best, and that she would listen to Cory always. Cory agreed to every term with a whole heart, eager to leave and go home with Lina. In some instances, she had suggestions which were useful and helpful. Sometimes, she had questions or concerns which we answered to her satisfaction. Lina decided to take a chance on her and bought her. When Lina drove up with the horse trailer the next day, Cory whinnied impatiently for her. She greeted Lina with pure joy that brought tears to our eyes. When Lina took her from her stall, Cory power walked to the trailer and jumped on never looking back, delighted to start the new love chapter in her life. Lina never had cause to regret her decision. Cory held firm on all her promises to the best of her ability. They trained together and went on to compete successfully in their show career. Everyone who saw the mare later who had known her from before was astonished at the changes in her, saying they wouldn’t have even recognized her. Cory was happy and loving, kind and helpful. And beautiful. Did I mention how beautiful she was with her big heart and athletic body? Oh yes, she brought joy to all who knew her. Communicating with animals makes all the difference in the world. Why Should You Always Communicate Before Seeking a Veterinarian or Trainer or Trying Something New? If you don’t communicate with your pet before seeking a veterinarian or trainer, or trying something new, then here’s what can happen. You take them to the vet or professional trainer, and they’ll get misdiagnosed, mistreated (or worse). You’ll spend a lot of money in bills. Maybe you’ll get lucky and things will change for the better. But sometimes things will actually become worse because the real problem got missed and now your animal has even more stress to deal with. All that could be avoided if you’d only taken time to discuss things with the animal first to be sure you are going in the right direction. 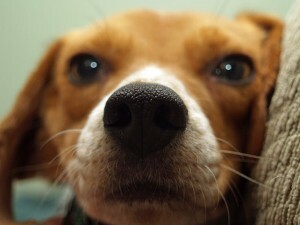 What if the real issue is something going on in you that is causing distress in your animal? Many times the problem isn’t about the animal, it is a problem with you or their management or environment. That’s why animal communication is so critically important! And, why I’m so glad you are interesting in learning more. Animal communication is the first place to start solving a problem with a pet because a heart to heart conversation can make a huge difference in many situations and issues. However, sometimes other approaches are needed. Not all animal communicator professionals (or students) know how to have the right conversation to solve all kinds of problems. Whether you choose to work or study with me or not, be sure and seek a qualified practitioner or teacher who can best assist you with what you really want. 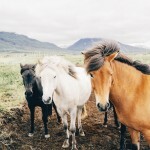 What kind of Problems Can Animal Communication Help With? People contact me every day desperate for insight into why their animals are sick, ill or dying. Why are they behaving in dangerous or confusing ways? They’re worried that they are missing something because they have a strong feeling that their animal needs to tell them something and they can’t figure it out. Their pet seems depressed or unhappy, or acts out in a myriad of puzzling ways. They know something is wrong, but without communicating with them, they don’t know what and so they waste time, energy and money chasing their tail on expensive guesswork. The saddest most painful consultations I do are the ones where people brought me in too late. If we had talked with their friends before things got so bad, we might could have saved their life. Wouldn’t you love to have a more direct connection with your animal? What if you could simply ask them what was wrong, where they hurt, how they felt, why they behaved the way they did? How would knowing that change your life? Help your animal? 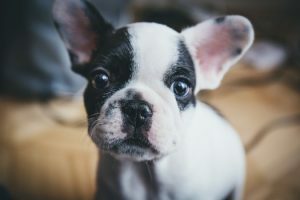 You know how spiritually-oriented animal lovers feel so connected to your pets that you can get really worried about your companions’ health, behavior or training issues? Often you have a powerful sense that your animal needs to tell you something important… but you just can’t quite get it? Through my work and those of my professional animal communicator colleagues, we help you hear and receive the wisdom your animal wants to share. We empower you to take the right actions that improve behavior and can even heal. When we do that, you will experience deeper spiritual meaning, clarity and peace of mind. Understanding Health Issues and Physical Problems by relaying the animal’s input, viewpoint and experience. How they feel, where it hurts, how much it hurts, what makes them feel better and what they need or want are all valid questions that only the animal themselves can relay. Based on what they tell us, the appropriate measures can then be taken to assist them. Preparing an Animal for Surgery or other medical interventions or procedures, like neutering or spaying, and we can help shorten recovery time. By the way, professional animal communicators are not going to analyze, diagnose or prescribe anything medically. We leave that to the vet and medical professionals. We can assist by relaying what your animal needs to say, how they are feeling, where they hurt, when did the problem start, what is helping, what isn’t helping but is in fact making things worse, and much more. How would you like to go to the doctor without being able to communicate with them so they understand you clearly? Nah, I wouldn’t like it either. Healing Trauma and Abuse Situations, such as from injury, shock, illness, death or grief by understanding the animal’s viewpoint, discussing their experiences helps them rebalance themselves emotionally, letting go of the experience, and make new choices for themselves. Improving Performance in the show ring by addressing issues, clarifying the rules of the game, and, identifying learning styles which can shorten training time. We can identify unique talents, skills, abilities and purposes. I got my start working with performance horses and they are a specialty of mine. Changing Family Structures by helping them adjust to changing family dynamics, preparing for new arrivals or departures, divorce, separation, babies, rescues, death; healthy pregnancy, delivery and post partum care for both mother and child. Traveling and Moving eases the stress involved by helping your animals understand where their humans are going, why their routine is disrupted, explain about business trips and vacations and who will care for them while their humans are gone. Answering their questions or concerns makes the difference between coming home to a sick, distressed animal versus one that is peaceful, happy and well adjusted. Preventing or Resolving Problems Like Separation Anxiety by showing them where they are going and what to expect of a new home or situation, by identifying the trigger factors resulting in acting out with bad behavior and more. Rescuing, Fostering, Healing Abused and Bonding With Adopted Animals helps them to: understand sheltering and fostering; identify what they want in a new home (i.e. kids, other animals, gender preferences); adjust to a new family and home helps shorten transition times and accelerates bonding; heal from neglect, abuse and abandonment. It also helps us humans to understand where they came from, their history/background, and what their experience(s) were. 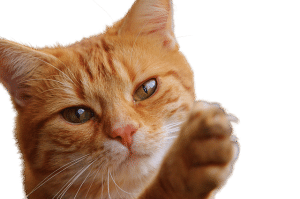 Making Euthanasia Decisions by knowing what your pet needs and wants, when the right time is, and how best to support them through the process of transition makes all the difference for not only them but you too. Easing Death and Dying don’t have to be as traumatic or painful as they commonly are in our society. We can help by offering support for you both through the dying process. Understanding and honoring your animals needs and your own can be so very helpful in finding peace and completion through the death of other family members as well. Animal Talk TIP: Remember that animals grieve the loss of their fellow animals, and their human friends, too. Reconnecting in the Afterlife with an animal who has transitioned to the other side, or, who may be getting ready to reincarnate. Check Out What Happened When We Communicated With These Animals! Kati, I must first look within myself and heal the imbalances in my thinking, feeling, and physical self. Kati was mostly a reflection or mirror of what was going on inside of me. If I was afraid or angry, Kati would react with barking and fear/aggression behaviors. If I was ambivalent or frustrated because I was unsure of my inner strength, Kati would test the limits. With your help I was able to see what I was doing instead of thinking I needed to fix her. You gave me clear directions and encouraged me to experiment with different behaviors. You helped me balance my emotions, calming myself first so that Kati can be calm. Our walks are more pleasant, she calms down when I ask her to, and she alerts me when it’s necessary. My relationship with Kati has reached a level beyond simple obedience training. You’ve made it possible for us to experience a sweet cooperation that will only grow richer. Thank you again. Val, I am so appreciative of you. I feel like I have so much more control of myself. Thank you for helping me with my confidence. We were talking about how good the puppies are now (they were driving us crazy before!) and how much you have helped me with them. Their health has improved along with their behavior. I wish, I wish, I had known you when Alex and Bear Bear were alive. Their lives would have been much healthier and happier. I wish I had known to talk to them like you’ve taught me to do with Honey. I get a look of true understanding from Honey and Katie now. I used to dread going home – now, I can’t wait to get home to see them. I love them so. Thank you, Thank you, Thank you!!! helped me improve my health, and also made such a difference with my horse, Aries, that we swept into the dressage shows and won a whole pile of blue ribbons — in only 6 months! I can’t believe I was on the verge of selling Aries and giving up on him only a short while ago… now, we are excited to see each other and are winning almost every show we enter. We are both healthier, too, and that mystery lameness Aries had? Now I know where it’s coming from, what to do about it and what my contribution to the problem actually is. Awesome! Thanks, Val! I don’t want to know where we would be without you. Val, I just wanted you to know that after you had that one session with Chico, he stopped urinating indoors. I must admit that every once in a while he slips, but there was a major change after your session. My little female Chihuahua had turned into the Tasmanian Devil after a visit from another female puppy. Her angry behavior continued after the female puppy left. However, once you communicated with her, she became the beautiful little docile girl she once was. It was the first interview ever where I forgot to go to commercial break because I was so engaged in what she was saying! Her information is so leading edge and compelling! I loved it so much I immediately hired her to work with my dog, Roxie! After one session I totally changed MY behavior with my dog and a ton of stress melted off my shoulders. Val helped me with Roxie’s eating and joint issues, and it’s like Roxie is a new improved dog. Amazing! Val rocks the animal world and she has great compassion while doing i! Libero, was terribly ill. Even though the vets couldn’t figure out what the problem was, he was so sick they wanted me to put him down. It was touch and go there for a while, and when I contacted you, I was a mess. You helped us communicate with each other, and Libero told you how he was feeling, where the pain was coming from, and that he wasn’t ready to leave yet! That gave me the hope I needed to keep going and not give up. The vets thought his career was over but Libero didn’t agree with them. Thank God I listened to you. Now, against ALL odds, Libero and I are back in training, working towards completing our titles. We are actually showing again! I can’t thank you enough, Val. Learning to communicate from your heart to theirs, your mind to theirs and vice versa, changes everything whether your relationship is with a human being or an animal! 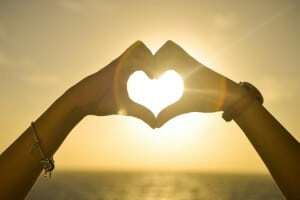 I use and teach extraordinary, powerful heart based methods of communication and healing, using alternative state of the art energetic exchange techniques as well very practical, grounded tips and techniques. They work with ALL animals, anywhere and anytime. Not surprisingly, they also work with people too! I have shown my clients and students how to form a deeper relationship with their animals by translating the animal’s communication into language you can understand. Your relationship with your animal will be transformed, once you open the doors to heart centered communication between you and your animal. Is Your Intuitive Telepathic Ability a Special Gift or Is It Teachable? Can Anyone Learn How To Talk To Animals? Everyone has intuitive abilities, so it is both a gift AND it is teachable. Anyone can learn to grow their intuitive skills, and if you want to, you can apply your gifts to learning how to talk to animals too. Since 1993 I have managed a highly successful animal communication practice working with well over 10,000 animals and their owners, trainers and even veterinarians all over the world, helping them accomplish their goals with health, performance, training & behavior modification, and much more. As a professional animal communicator and founder of The Heart School of Animal Communication, it’s been my pleasure to work with amazing animal teachers while I teach clients and students about animal communication. I’ve witnessed miraculous things happen time and time again through the art of conversation with all kinds of animals, both in person and long distance. Animals are angels, teachers, guides and healers. When we learn to recognize, respect and revere them for who they truly are, they help make us better people. What is your next step if you need help with your pet or you want to learn how to talk to animals yourself? I’m a firm believer that every animal caretaker needs to know how to communicate with their animals. Anything can happen at any time, and your animals have important things they need to discuss with you on a daily basis. If you want a healthier, happier, more joy filled relationship with with animals, then I hope you decide to continue your journey into the wonderful world of animal communication. It is a spiritual journey that will change your life. Your investment in either hiring the right professional animal communicator to help you when you most need help, and/or, in learning how to talk to animals yourself through the right coursework and educational path is THE most important step you could ever take in understanding what your animal is trying to tell you about their wants, needs and emotional and physical health. A whole new incredible world awaits you! Let’s begin. Check Out The Heart School of Animal Communication! Start Now and Learn How to Talk to Animals Yourself! Do you just need help talking to your pet? The One Heart Animal Communication & Healing Session is a great place to start working with Val.